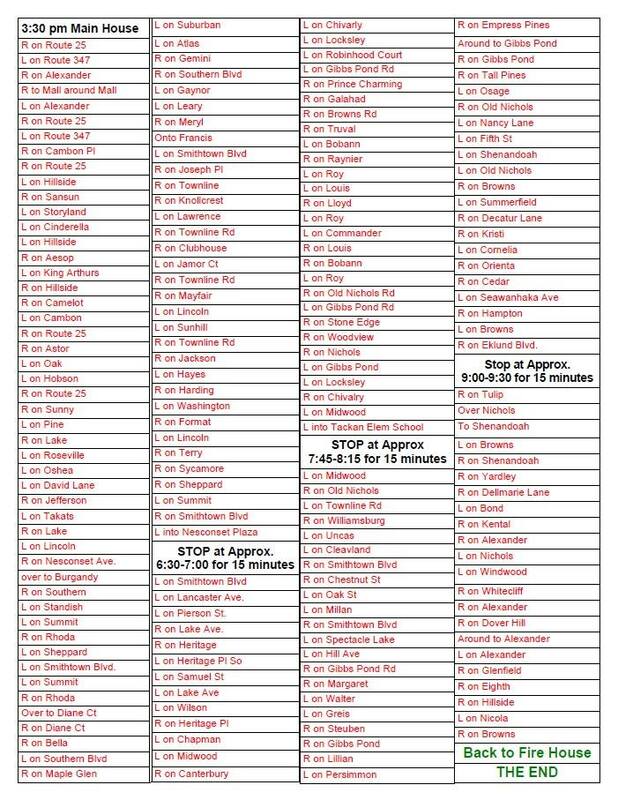 Please note due to time, road hazards, and other unforeseen events we may vary from our original route. Please keep an eye on the tracker for our exact location at all times. HO HO HO! Santa is on his way! 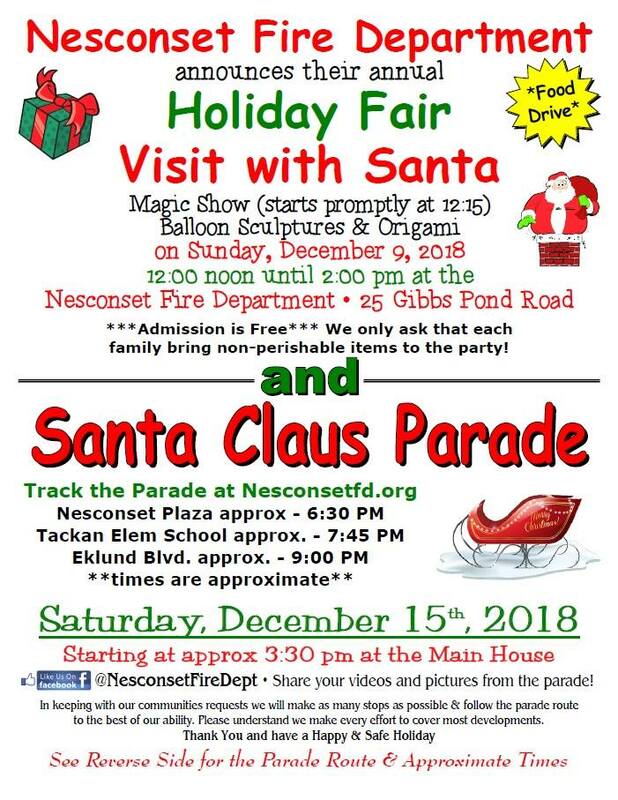 Follow the Christmas Convoy and The Nesconset Fire Department as Santa flies his sleigh through your neighborhood. The map above will update you on Santa’s location every minute. The Green line is the route which he will be traveling on. You can see the turn for turn to the right.